Summer is quickly slipping through our fingers, and the new school year is fast approaching. As we hurry to wrap up The Mystery of History, Volume II (so we can begin Volume III,) I worry we have spent so long going through it that my children have forgotten what we learned at the beginning of the book. Ordinarily, I don’t advise rushing, or worrying, or anything of the sort. However, we’ve gone through The Mystery of History at such a slower pace than the recommended outline, that I wonder if slow and steady will ever finish the race! 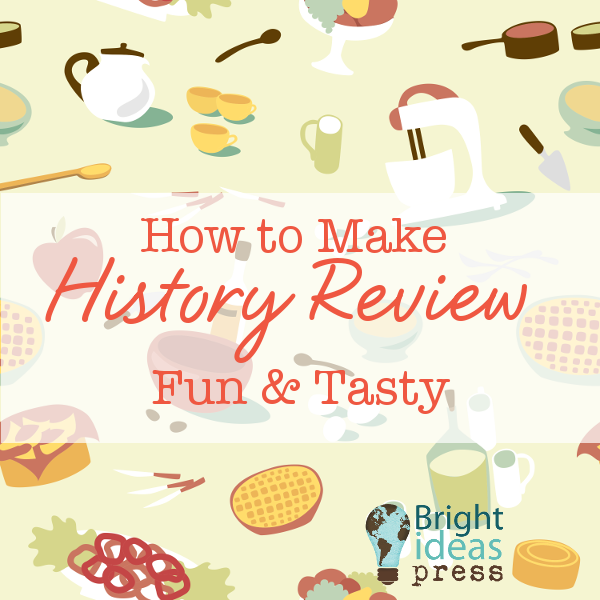 Fortunately for my kids and our taste buds, Bright Ideas Press has come up with the tastiest way to review history–delicious, authentic, corresponding recipes. Yes, I’m talking about the newly released The Mystery of History Vol. II Cookbook. It’s actually designed to be used along with the volume as you go through it, but as soon as I saw it I knew it would work for review as well. With that in mind, we have begun reviewing from the beginning while we continue wrapping up at the end. Since there’s food involved, the kids don’t seem to mind the review one bit. Step One: Prep For Your Recipe and Your Review Lesson. When you first receive your cookbook, mark all the recipes you intend to make, and make a shopping list for at least the first several. When you are ready to review, gather your recipe(s) and supplies along with your textbook and review materials so that you can review while your food cooks! Step Two: Have Fun Cooking! Preparing one or two recipes at a time, have fun cooking together. Take the opportunity to discuss any new ingredients you might be unfamiliar with. Bay leaf might have been a popular ingredient in Ancient Greece and surrounding Mediterranean areas, but for us it was a completely new and unfamiliar flavor. Before you begin, take the time to read the historical introduction at the beginning of each recipe, too. While your recipe bakes (or rests or chills), look back over that corresponding week in your history book, as well as any others you may have skipped by not preparing a recipe. Look over the pretest, review the main ideas, characters and dates, and worksheets and quizzes. If you have made notecards, timelines, notebooking pages or use the downloadable challenge cards, look over those as well. First ask the kids what they remember about a person or event, and then fill in any missing but pertinent details. Now enjoy your tasty dish! Continue to work your way through the cookbook, reviewing as you go, as fast or as slowly as you’d like. 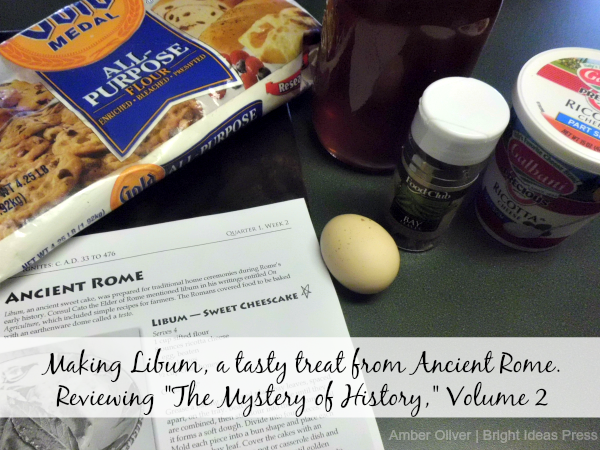 Not only is The Mystery of History, Volume II Cookbook a tasty trip through history, but it’s fun, too! One of my goals for the rest of the summer and the new school year is making sure that learning about history stays fun. I want to make sure that we have enough hands-on projects for my active learners and that we engage as many senses as possible. 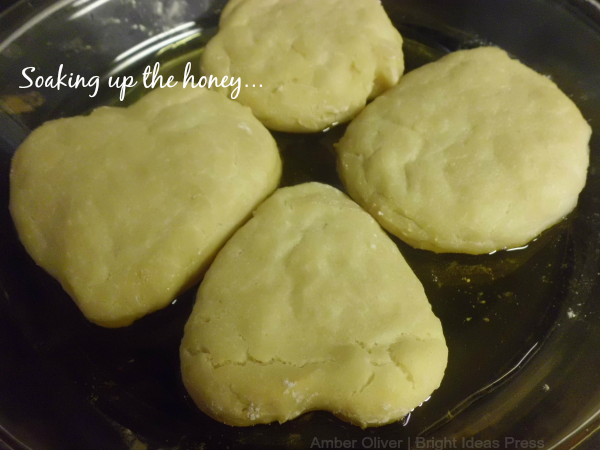 Cooking in the kitchen definitely meets all of those guidelines! 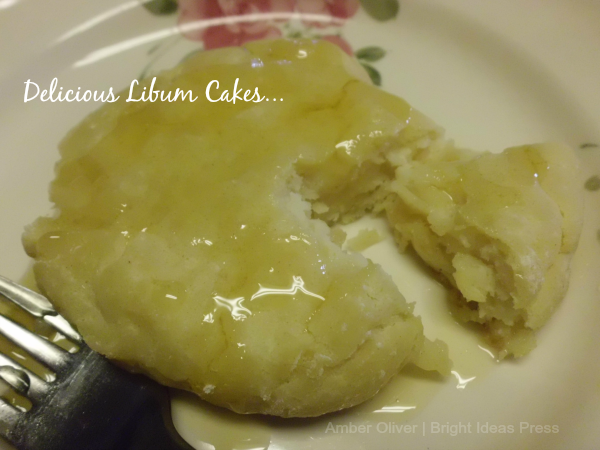 It’s fun, active, and quite delicious. How do you keep history fun, active, multi-sensory, and hands-on?